Brad Pitt, me, and a couple of groovy houses in the Big Easy. Don’t you just love giving money to the charities of celebrities? It’s like somehow you feel like you could be their new best friend, if only they knew your name, and how much you care about what they care about, and what a fascinating, engaging person you are, underneath your pathetically normal exterior! 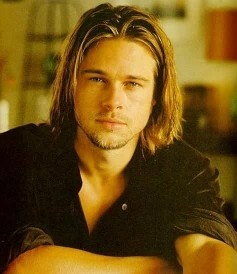 But that shallow motivation and deep infatuation is not why today I’m giving to Brad Pitt’s Make It Right Foundation. www.makeitrightnola.org Not at all! 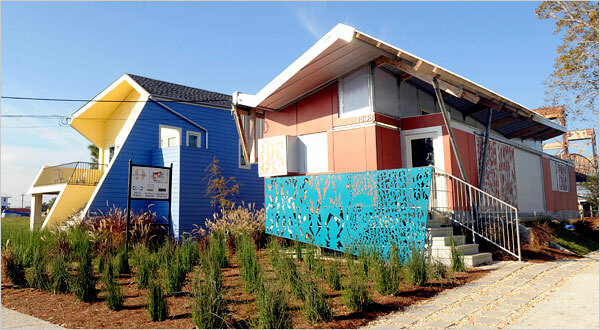 I actually care a lot about the rebuilding of New Orleans Lower Ninth Ward. I was horrified and activated by the Katrina disaster and its aftermath. 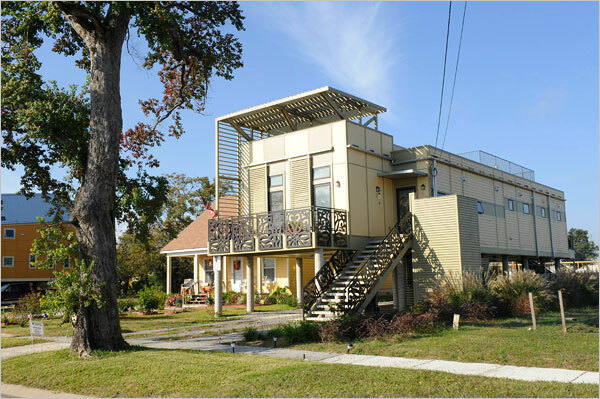 My husband, the Oglethorpe University students, and our children have been to the city numerous times to help Hands On and Habitat for Humanity with excavating and building homes for returning New Orleans residents. And I shared some of Brad’s frustration with the slow pace of rebuilding back in 2007. So how cool was it that Brad took that frustration and came up with the innovative idea to commission 13 architecture design firms to design affordable, green houses, with the goal of ultimately building 150 homes all for returning Lower Ninth residents? Using his big Hollywood name to attract design firms like Kieran-Timberlake, GRAFT, Thom Mayne, Workshop/APD, and Shigeru Ban was really inspired… and 54 homes are under construction or have been completed. Crank-pots may claim that they are a tiny bit too design-y for the neighborhood. But these are petty complaints in the face of righteous action that has actually moved the ball forward and put people back in homes. My $100 today goes to Make It Right … and Brad.